Please join Save Our Shores! Florida, Crude Awakening, Hands Across The Sand, The Florida Wildlife Federation, 1Sky Florida, Audubon of Florida, Clean Water Action, Emerald Coastkeeper, Defenders of Wildlife, Progress Florida, Sierra Club Florida and other organizations for a Hands at the Capitol Event to ask our legislators to let Florida citizens decide the question – Should drilling be banned from our state territorial waters? Support a Permanent Ban on Oil Drilling in Florida’s Waters. Let the People Decide. Tell your Legislators to put the Oil Drilling Ban on the State Ballot and make the ban on drilling in Florida’s coastal waters permanent. The oil that has been washing up on Florida’s beaches is a stark example of why oil drilling should never be allowed in Florida’s coastal waters. While state law limits drilling in Florida waters the Legislature can undo the ban in a matter of days. 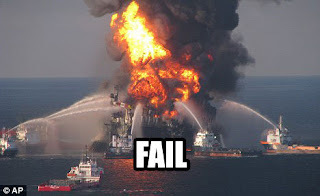 (At the request of the oil companies they almost did that last year). To protect Florida’s beaches now and for our children and grandchildren we need to give the people a chance to vote on an amendment banning nearshore drilling on November’s ballot. Once the people of Florida place this ban in the Constitution, only the people of Florida can remove it. To make a contribution to our advocacy work for strong protections of Florida's coastal environment, click here. You people need to do something ASAP, before our SunShine State become the OIL STATE is gross here right now, I would'nt visit here if I didn't live here already. But I'm up for moving to another state now. On specific targeted dates we are asking everyone to call the White House and their senators and representatives to voice our intent that clean-up of the BP oil spill be taken away from BP and vested with the federal government. On subsequent dates we will repeat the initiative with a different mandate designed to keep the Administration on track and on task with the clean up. Please visit us on Facebook at: OBAMA CLEAN UP OUR GULF and click the MAKE THE CALL tab for specific information and scripted talking points. If we all rally together and TAKE SOME ACTION we CAN make a difference! Please pay this forward by passing this along to five eco-friendly friends by cutting and pasting this into your friend's "Send a Message" window. Also check out our web presence: www.ObamaCleanUpOurGulf.org.